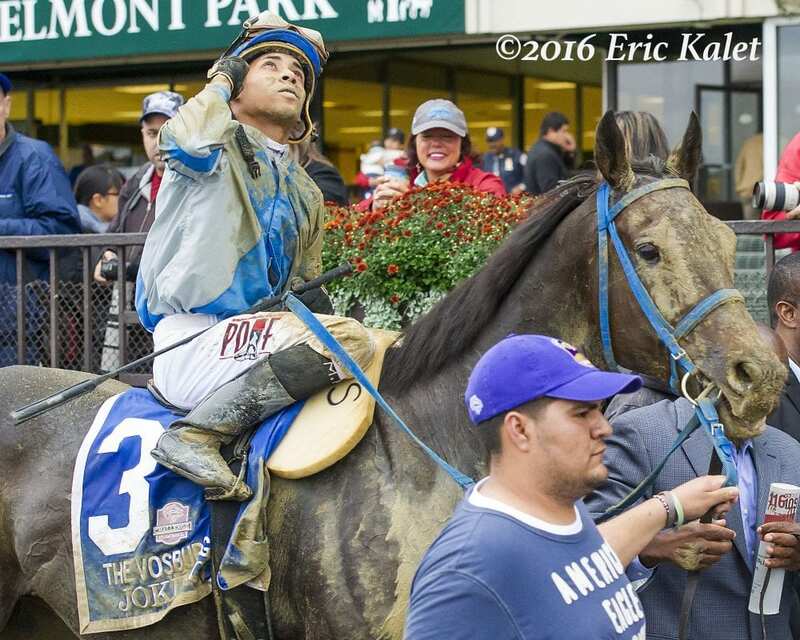 It's been a while, about 20 months, since Joking was seen in the winner's circle after the Grade 1 Vosburgh, which punched his ticket to the 2016 Grade 1 Breeders' Cup Sprint for owner-trainer Charlton Baker. The True North is one of five stakes races on the second day of the Belmont Stakes Racing Festival, and comes a day before Justify attempts to win the Triple Crown in the Grade 1, $1.5 million Belmont Stakes presented by NYRA Bets. Manny Franco, who was aboard Joking for his winning streak, gets the return call again. “I'm anxious to ride him. He's really a nice horse,” Franco said. Joking was treated at the Chino Valley Equine Hospital by Dr. Andreas Klohnen for several months after he became ill. Baker said it was “touch and go” for about the first 45 days. Joking returned East in January, 2017, was cared for by Dr. Patty Hogan in New Jersey, spent time on the farm recovering and returned to training last October. “He has really matured for us the past few months,” trainer Peter Miller said of his 4-year-old chestnut son of Macho Uno, who will be ridden by Victor Espinoza. Godolphin Racing LLC's Westwood heads into the race off a victory in the Runhappy at Belmont – the 4-year-old son of Bernardini's first stakes win and third win in four starts in 2018. This entry was posted in NL List, Racing and tagged belmont, belmont park, belmont stakes racing festival, bobby abu dhabi, Charlton Baker, imperial hint, joking, limousine liberal, manny franco, Recruiting Ready, true north, true north stakes, Vosburgh Stakes, westwood, whitmore by NYRA Press Office. Bookmark the permalink.